Bobbi Brown is the keynote speaker at NJBIA’s Sept. 14, 2018 Women Business Leaders Forum. 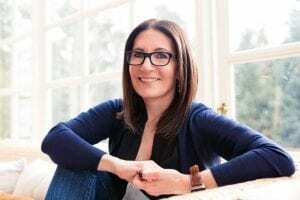 Bobbi Brown, the cosmetics industry titan, world renowned makeup artist, best-selling author and intrepid entrepreneur, will be the keynote speaker at the New Jersey Business & Industry Association’s “Women Business Leaders Forum: Empowering Together” conference Sept. 14. “NJBIA is thrilled to have Bobbi Brown as the keynote speaker for our 4th Annual Women Business Leaders Forum. This event draws hundreds of attendees every year, both women and men, who participate alongside top business leaders and expert panelists who share career advice and life lessons for professional advancement,” said NJBIA President & CEO Michele N. Siekerka, Esq. The daylong NJBIA event will also feature a Ted Talk-like presentation with business leaders and prominent CEOs, breakout panel discussions on timely career topics led by business experts who will take audience questions, and extensive networking opportunities. The program will complete with Siekerka conducting a Fireside Chat with Brown in an interview style accompanied by audience Q&A. As a professional makeup artist, Brown created 10 simple lipsticks that evolved into a global beauty empire. She has written nine beauty and wellness books, and has launched Beauty Evolution LLC since leaving eponymously named Bobbi Brown Cosmetics last year. In 1995, Bobbi Brown Cosmetics was acquired by The Estée Lauder Companies, where Brown served as Chief Creative Officer, building a billion-dollar brand. Brown has returned to her roots as an entrepreneur. Her latest endeavor, EVOLUTION_18, is a line of lifestyle-inspired wellness products launched this spring. Another endeavor, justBOBBI.com, is a platform for Brown to share her life inspirations. In addition, The George, a 32-room design inspired, boutique hotel, in Montclair, reimagined by Brown and her husband, Steven Plofker, recently opened.